Grason and Judy, a brother and sister team, shared a vision for quality early childhood care and education for all children. Their commitment to provide qualified teachers who make a difference in the lives of children and their whanau lead to the creation of this centre. Nurture by Nature continually endeavours to provide a service that meets the needs of a diverse community, like ours. Christine and Casey make up the administration team at Nurture by Nature. Chris is Grason and Judy's mother and Casey is Judy's eldest daughter, we are certainly very whanau orientated. Chris has many years of experience as both a Manager and an educator. 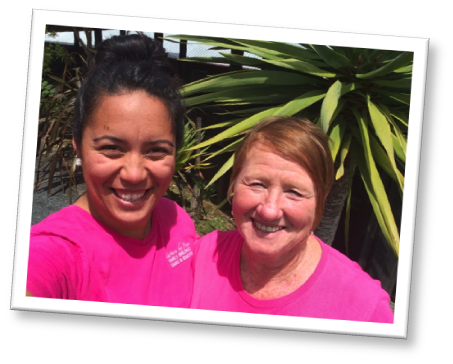 Casey's expertise in the field of Children’s Television and Matauranga Maori bring further value to our team.